Mr. 305 attended the Palm Beach State College STEAM Luncheon at the Raymond F. Kravis Center in West Palm Beach, FL today to discuss education, SLAM!, and much more. Mr. Education sat down to speak with Leslie Streeter this morning at the fundraising event which supports STEAM (Science, Technology, Engineering, Arts and Math) education. The rapper has always been passionate about education and about providing underprivileged youth with better futures, and that was the running theme of his discussion today. 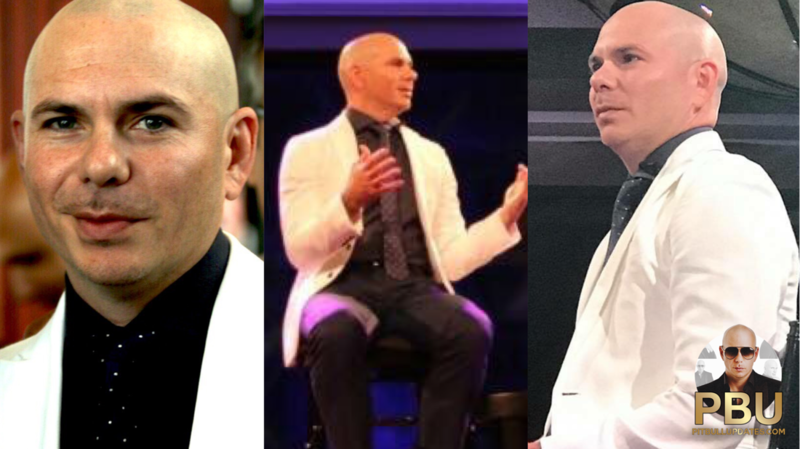 “We care about students and want them to have a chance at life,” said Pitbull about why he decided to open up several SLAM! Academies. The international rapper also discussed the struggles of maintaining a career in the music business. He said, “You could have a hit-record today, and be gone – today”. He explained that musical trends change every few months and it is difficult to keep up at times. And when asked about how he would like to be remembered, Armando simply and humbly answered, “As somebody who cared”. Fans in attendance said that Armando’s speech and discussion was inspiring, full of wisdom, and impressive – it was a great interview. Take a look at photos and a video of Mr. Worldwide on and off stage at today’s STEAM Luncheon below! Next Next post: Congrats to Pitbull – ‘Timber’ is now 9x VEVO Certified!